Numbers > Help and advice > What is an In-Home Display (IHD)? An In-Home Display (IHD) is a device with a touchscreen that communicates with a smart meter to display energy consumption statistics in real-time. IHDs are battery-powered and portable, so they can be placed in any room of the home, to help you monitor your energy use. IHDs operate separately to, but in conjunction with, smart meters. You can think of an In-Home Display as you would of a monitor to a computer. A computer crunches data and code, and then the monitor presents that data to you in a format that is usable. IHDs simply take the data that smart meters collect and then they present that data to you in an understandable way. Further reading: How Do Smart Meters Work? In-Home Displays automatically communicate with a smart meter, however they can also communicate directly with gas and electricity meters in select installations. 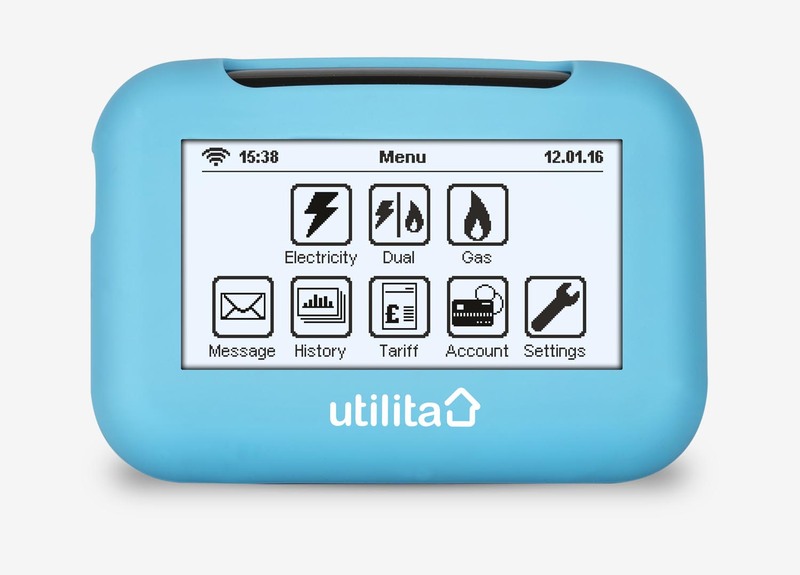 It is important to note that IHDs come in all shapes and sizes, and most energy suppliers have their own design, to help their IHDs stand out (the image at the top of this article is of Utilita’s In-Home Display). However, most IHDs are around the same size as a large smartphone with a bulky case on, and they all take AA or AAA batteries so they can work in the event of a power cut. With an In-Home Display, the user can keep up to date with how much energy they are using, what it’s costing them, and how much CO2 they are using. IHDs are incredibly useful gadgets, since they also store historic data so that one can look back on past consumption statistics. Further reading: Smart Meters and Data Protection – Should you be worried? Depending on the tariff the customer is on, the In-Home Display will display electricity, dual-fuel or gas energy statistics. In-Home Displays also work with prepayment meters, otherwise known as pay-as-you-go meters, and will show a running balance to the customer. IHDs also allow the user to setup alerts and warnings, to help them keep their energy consumption as low as possible. These alerts are presented as audio signals, and sometimes, by flashing LED notification lights. Another useful feature of the In-Home Display is that you can set targets. So, for example, you can set a CO2 target for the day or an electricity consumption target for the day. It is also worth mentioning that most energy suppliers – by default – send customers marketing and sales messages through their IHD. If you do not want to receive these, all you have to do is ask your energy supplier not to send them. They are legally obligated to accept your request.